Serve immediately. Makes 14 4x4" waffles. These are the best and my go to recipe whenever my family wants Belgian waffles. It calls for basic ingredients which means I always have the items in my pantry. It does make a lot but this recipe is also easy to half if needed. I also found this recipe on FoodNetwork.com courtesy of Emeril Lagasse. 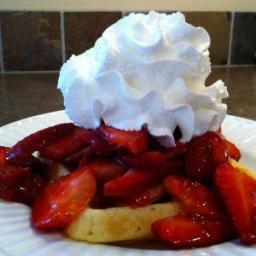 Our family and guests rave about these waffles!